Welcome to LingvoSoft Online, The Largest Collection of Free Online Translation Services Anywhere! Communication has never been faster or easier than it is today, as people connect with each other across the globe in a matter of seconds. One barrier, however, remains to be overcome - and that is the language barrier. But thanks to LingvoSoft Online everything you need is right here waiting to help. All the free tools and services for your online ^ life made available in one convenient place to aid understanding and interaction. Now, thanks to LingvoSoft Online you have everything you need at the tips of your fingers. Presented here to let you become familiar with the benefits of online electronic translation tools, LingvoSoft Online contains an extensive selection of ECTACO/LingvoSoft utilities and databases. Featuring lighter, web-friendly versions of our award-winning translation and language learning utilities, this gateway to barrier-free communication lets you experience first hand the joys of understanding. Word by word searches of a foreign language text using books are now a thing of the past thanks to the rapid and effective tools provided here. Choose an Online Learning PhraseBook from the list below; there are 3000 entries in each one! Choose your Online Dictionary; they contain up to 400,000 entries each! Check out our fascinating Multilanguage dictionar! 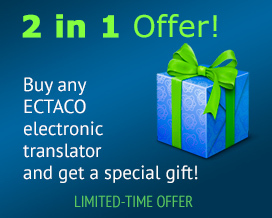 Simply enter a word in English and see its translations in all of the 41 languages available!